This was so unexpectedly adorable and sweet and MY HEART. A handsome black colt is born in the wild, going through many adventures as he grows up and learns how to trust. 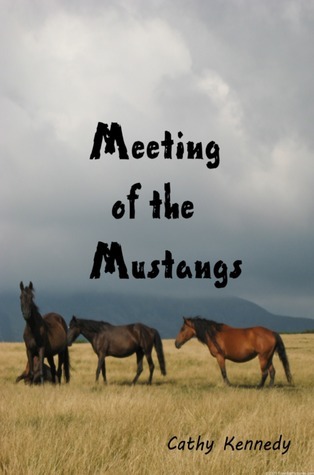 Meeting of the Mustangs by Cathy Kennedy was just so darn CUTE! My heart feels all warm and fuzzy right now. The story is told (for the most part) from the horse’s point of view, so it is very interesting to see his reactions to different events, people, and horses. At different parts of the story, he gets separated from his band, and he meets many different people. Most are very kind to him, but he does not always understand how to behave around humans, and some of his encounters do not end so well. Sometimes his various owners gave him names, and sometimes they didn’t, but either way, I was always rooting for him to have a happy ending! The story read very quickly, with easy breaks, and I really enjoyed the feeling of finality at the end, without too much closure that it ended abruptly. Overall, this story was simply very enjoyable and I would definitely recommend it for a quick, sweet read. 🙂 Hope you’re all doing great! Toodles! ‹ PreviousSHARING THE LOVE. JUST TOSSING IT OUT LIKE CANDY. 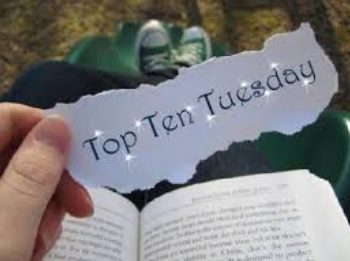 Next ›IT’S MY VERY FIRST WRAP-UP. AKA AN EPIC FAIL. Hahaha thanks! Yes, it’s not very well known, but I was just like HORSIES CUTE HAPPINESS YES.